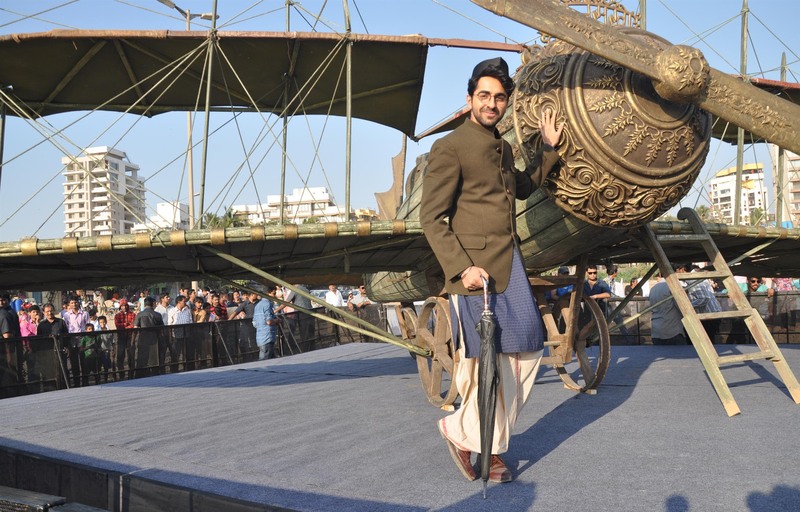 Upcoming film ‘Hawaizaada’starring Ayushmann Khurrana explores the real life story of scientist who built and flew the first aircraft before the Wright brothers. Apparently the movie was shot in some unexplored remote areas of the country for which they travelled extensively across states like West Bengal, Gujarat and Bihar. Apparently shooting at these remote locations was not easy. We hear on one such occasion, the lead actor Ayushaman Khurrana had to change his costumes in un-maintained public toilets, because it was not possible for vanity vans to get to those areas. ‘Hawaizaada’ also stars Mithun Chakraborty and Pallavi Sharda in main leads. The film is scheduled to release on January 30.